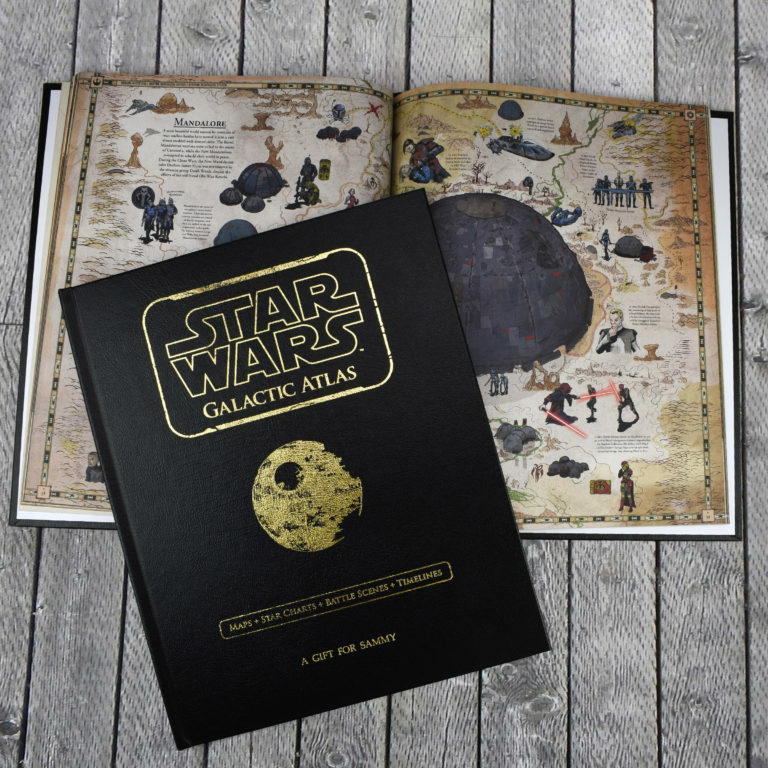 The book features maps, timelines, epic battle scenes and detailed star charts all from that galaxy far, far away. The book is huge measuring a whopping 38 x 31cm. Each page features Tim's signature artwork so you will be spending quite some time on each page scrutinising the detailed drawings. Not only that, the illustrations are accompanied with comprehensive information on iconic scenes from Star Wars and all the characters from across all the movies and TV shows. 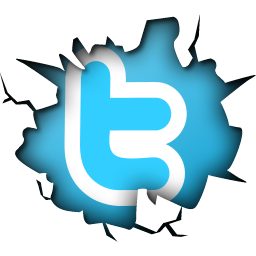 What really makes this book extra special is InTheBook.Com will personalise it for you. When you place your order, just let them know what message you want and that name will not only appear on one of the front pages but also on the presentation box that houses the book. It really is done well and turns an already special book in to an extra special one. 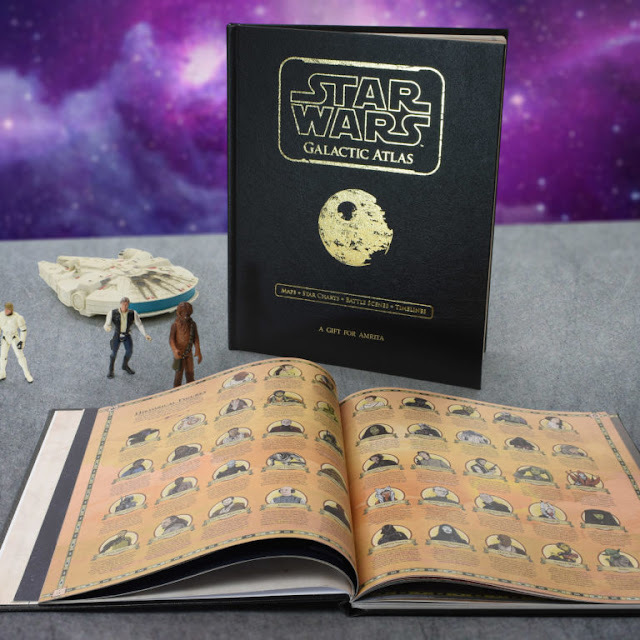 The quality of the box and the book is of the highest standard and for anyone looking to treat that special person in their life that happens to be a Star Wars fan, this is a perfect gift. Personalised and full of class at the same time. Price is £59.99 and you can order yours here. 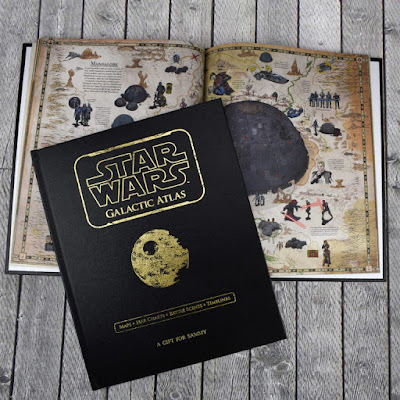 You can watch our unboxing video below to see how good a gift this Personalised Star Wars Galactic Atlas would make.